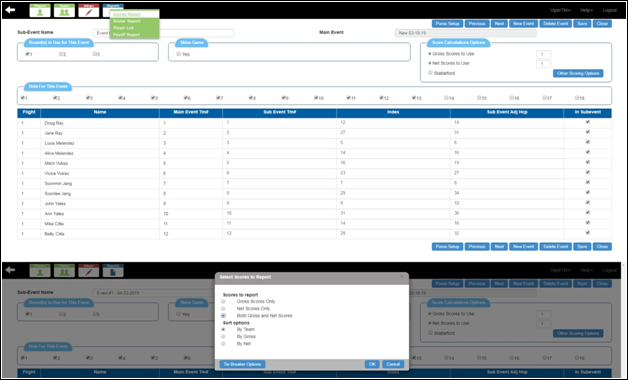 The Viper TM web application supports multiple options for scoring. By pressing the ‘Score Entry’ in the ‘Scores’ icon, you can enter the ‘Total Score,’ ‘Team Hole by Hole’ scores, and ‘Individual Hole by Hole’ scores for both teams and individuals. 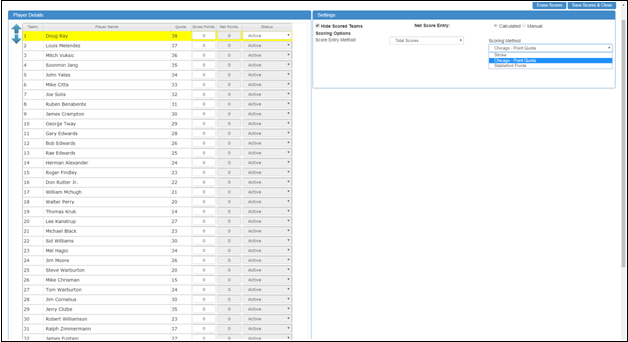 The ‘Individual Hole by Hole’ scores from the ‘Score Entry Method’ dropdown list offers you to enter ‘Individual Hole by Hole’ scores for all the players. 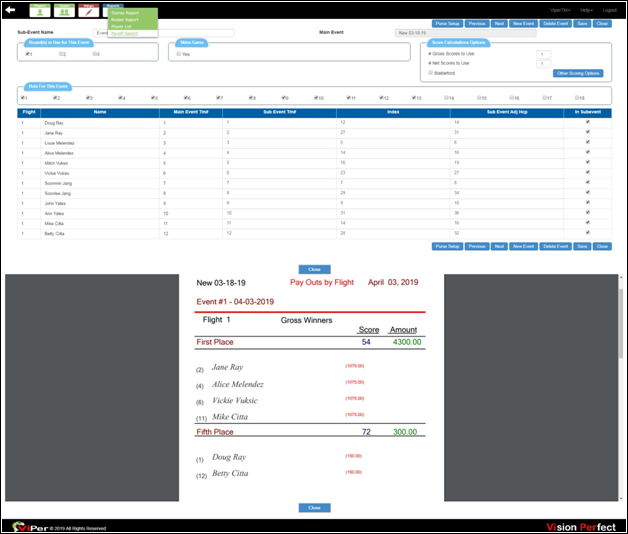 Peoria handicapping present in the ‘Handicap Method’ of ‘Other Options’ allows you to identify any number of holes to be used as players enter their scores. 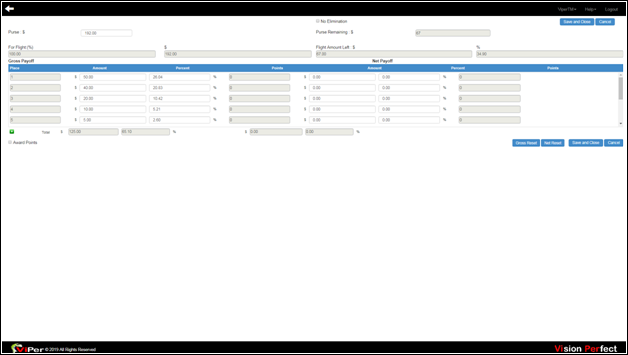 As a player or team enters the scores for each hole, the program will automatically determine the variance from par on the selected holes. Then accordingly, it will compute the player or team handicap. 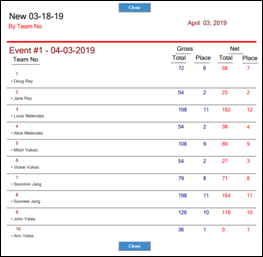 While using Callaway format present in the ‘Handicap Method’ of ‘Other Options’ for computing a handicap for a player or team, the Viper-TM tournament manager employs the golf standards for using the scores entered so far and calculating the new handicap. Once you click on ‘Save Scores & Close,’ the Viper-TM will automatically save the entered scores. To see the scores in a report, go to the ‘Reports’ icon, and then select the ‘Scores Report’ from the ‘Reports’ menu. Once you click, on the new pop-up box, check the checkboxes of your choice. Then press ‘Ok’ to see the Scores Report.